Each day, not just today, there are other many people doing the very thing you're good at, anticipating to win our approval. Why should we choose you from the many, who might even be better than you? For a while, I used to struggle with people out there, people I didn’t know, imaginary guys I believed should be loyal to reading my articles. I took my precious time, did a thorough research and come up with a great article. I posted it on my blog and shared through social media channels. I waited to see the response: No comment, no share, not even single Facebook like. Really? No one thinks this is a great writing? Then I sat resentful and condemning. Condemning who? I don’t know. This is a common trend. A lot of beautiful pieces of music has been done and actually released but they’re lying with the owners – but for immediate family members and a bunch of friends, no one knows such music exists. There are great books, which took a lot of efforts to write and publish, are now just but white elephants. What about those amazing drawings posted on a Facebook page that people don’t seem to care about except for scattered likes? The App idea you shared with prospect clients and they trashed it? Most people place their talent before the world thinking we will automatically applaud them, maybe because of their prowess or excellence of skill. They think the audience owes them an appreciation. To their shock, they don't get the expected reception; kind of their efforts and great talent fall on deaf ears, blind eyes and cold hearts. Why this? Often, it’s not that the product presented is wanting in terms of talent; the problem is with the procedure of presentation. I remember sometime back a person shared an 'insept' from his soon to be launched book on Facebook. The over 500 words post had been there for over a week, and had no comment but a few likes. But that was not my greatest worry. What kept me thinking is the oomph with which the post was made. From where the author sat, based on the kind of intro he gave his insept, it felt like he had a wonderful idea. But you realize, it wasn't an awe to us. That sent me thinking and I sooner felt fear creeping into my heart, not for the post owner but myself, because am also working on a book project. This is the reason: lack of an audience that matters. You might have realized that every strong brand must have a people dedicated to its product(s), willing to horn it without a pay. The big mistake every talented beginner does is assuming an audience will be drawn to them if they just showcase their great works. An audience that matters doesn't just happen by chance or luck; it's built. Don't like marketing and asking people to follow you and wondering if there's someone best to help out? Wrong again. No one knows best your ideal follower other than you. If you truly desire to make an impact with your talent, fold your sleeves and get to work. Stop doing what everyone is doing: forcing us to love their work. You realize you can’t succeed this way. Because we have a lot of options; how many songs are not just written but recorded every day around the globe? How many books are published? How many ideas resembling yours are released in the internet daily? Why should we pick yours? The answer lies in developing an audience that matters. I have laid down 3 steps to developing an audience that will appreciate your work. Step 1: Answer this Question: Who is my ideal audience? Don’t fall into the trap of thinking you know what your fans want, because for sure you don’t. And if you don’t know your audience’s taste, how will you even bake what they can enjoy? It all begins here. There is a simple formula of knowing your ideal audience. Don’t go for a crowd, just pick one person who you know genuinely appreciates your talent. Consider what exactly they like about your skills. If you get one person and truly meet his/her need as far as your talent and gifting is concerned, then you’ll be assured you have an audience because your one guy has many replicas out there. This one true fan will willingly die for you; he will share your work with another person who will also share to another person. Fanny enough, we human beings trust a referral than a direct contact. Because we believe if it has worked for you, then it can work for me. This is why reviews are such integral in the growth of any product. A simple, short negative review can turn away a lot of prospect clients. Who is your ideal client? What does he need? Seek to solve their need. You need a means through which you’ll get in touch with your audience. You need a central place, like a shop where you and your fans meet. This blog is my shop. If I have anything important to say, I’ll post it here. 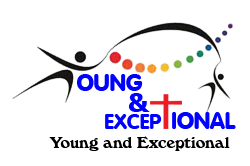 I also share on my Facebook page youngandexceptional. I advocate for a blog. Actually, if you are planning to connect to an audience, you need one. A blog feels personal and somehow confidential. A blog gives you a platform to express yourself better because it feels like you are at home. And that’s what makes connecting possible; being personal and open. Yes, a few brands are doing well with a Facebook page, twitter handle or linkedinn account, but a blog is simply on another level. If fact, if you follow up, you’ll realize such brands are doing better in their websites or blogs. A blog will also enable you get your audience’s emails, which will strengthen your relationship cord. Through an email, your fans are able to share with you deep concerns they can’t share in public. I have seen people send me a request to like their new facebook pages. Then I wonder, why should I? Seeking facebook likes in this manner, even through creating campaigns is purely lying to yourself. I may like your page simply because you’re my close friend, but not necessarily that I buy your idea. As a matter of fact, most people who accept every page request are idle, and most likely won’t add any value to your venture. Create a blog through which you can tell us who you are and why we should invest our resources on you. With content management platforms, it’s now easier than ever to create your own blog. Upon knowing your ideal audience, keep doing what it likes. I call it showing up. Did you know that you can eventually starting liking people who seemed not likeable to you if they kept meeting you daily? Through your preferred platforms, make it a habit of reminding your audience on a regular basis that you still exist and committed to doing what they love. Let them expect something from you at a given time of the day, week or month. I don’t mean you start filling every little space they have, that’s the best way of losing them. People are busy, and you need to respect that. Don’t over commit to fail yourself, yet don’t take too long to be forgotten. The frequency of showing up purely depends on your niche. A musician can’t produce music daily or weekly, or even monthly, but a writer or portrait artists can. Keeping showing up does two important things: It registers your name in the minds of your audience and, secondly, helps you become better in your skill. Not that I have arrived, I know there is a lot to learn, but every time I look at my first blog posts I wonder what exactly was I doing; they are unorganized. But I know if I didn’t keep showing up, I could not have improved. Our world is so noisy such that we’re not going to recognize your talent by just serving it to us. Daily, great talent is birthed and there are many in your niche that are better than you. The only good news is that this: The race is not to the swift, nor favor to men of skill; but time and chance happen to them all. It’s clear that you need an audience that matters to enable you realize your success in making your talent count. Go find and grow it. Have ever been frustrated by unappreciative audience? Share your experience in the comment box bellow. Share this article to reach more friend, sharing is caring.